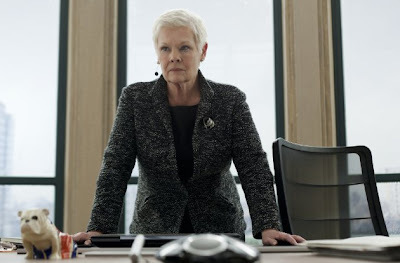 Watch: New US trailer for 'Skyfall' starring Daniel Craig and Judi Dench! After getting a worldwide attention with this summer's London 2012 Olympic Games' opening ceremony with James Bond 007 (Daniel Craig) and Queen Elizabeth's cool opening short film as well as an SKYFALL OLYMPIC TV SPOT, the film has now released a new official full domestic trailer for the upcoming Sam Mendes' James Bond filmSkyfall starring Daniel Craig (James Bond) and Judi Dench(as M). 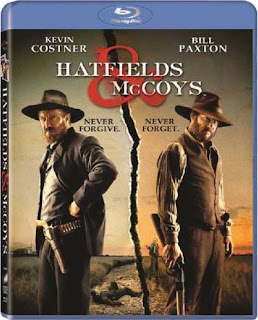 Available now on DVD and Blu-ray is Hatfields & McCoys (Jena Maloneco-stars as Nancy McCoy). History’sHatfields & McCoys – which premiered to a highest cable rating record 14.2 million viewers (including 13 million+ for its first two episodes each nights, Episode 1 with 13.9 M and Episode 2 with 13.1 M, and Episode 3 with 14.2 million viewers!) in May – broke into the Emmys in a big way. The mini earned 16 Primetime Emmy Award nominations overall, including one for outstanding miniseries and lead actor noms for Kevin Costner and Bill Paxton. Keira Knightley looks to still be filming John Carney's musical Can a Song Save Your Life? in New York City, which she stars as the female lead opposite Mark Ruffalo (The Avengers) and Hailee Steinfeld (True Grit), and Maroon 5's front man, Adam Levine(see previouson set photos of Adam & Keira filming Can A Song Save Your Life? in NY here). 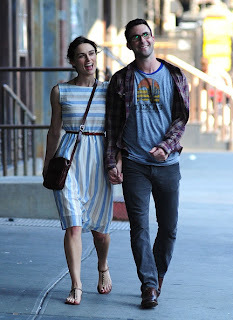 According to Deadline, the film reportedly revolves around an aspiring singer (Knightley) who moves to New York with her boyfriend and fellow aspiring musician (Levine) so they can both pursue their music careers. 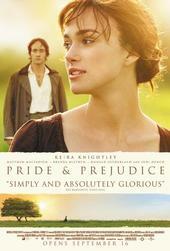 Levine's character breaks up with Knightleysoon after their arrival to pursue a solo recording contract, leaving Knightley on her own to be discovered by a "down-on-his-luck" record producer (Ruffalo) while singing at a local bar. Watch: BBC One's Autumn Drama trailer featuring 'Ripper Street' starring Matthew Macfadyen! BBC One has previewed six of its upcoming autumn original drama series in a new trailer to hit TV screens tomorrow. According to Digital Spy, longer trailers for each series will follow on each night starting from Sunday (July 29). One of them featured a few quick scenes from Ripper Streetstarring Matthew Macfadyen (as Detective Inspector Edmund Reid) with co-stars Jerome Flynn and Adam Rothenberg, which you can see a preview below. The Ripper Street, the eight part series will premiere this fall on BBC One and BBC America as part of BBC America's Dramaville series. With the latest news that Jena Malone Officially cast as Johanna Mason in 'The Hunger Games: Catching Fire', which means she'll co-star again with her former P&P co-starDonald Sutherland (as President Snow) in the sequel to the mega box-office success The Hunger Games. 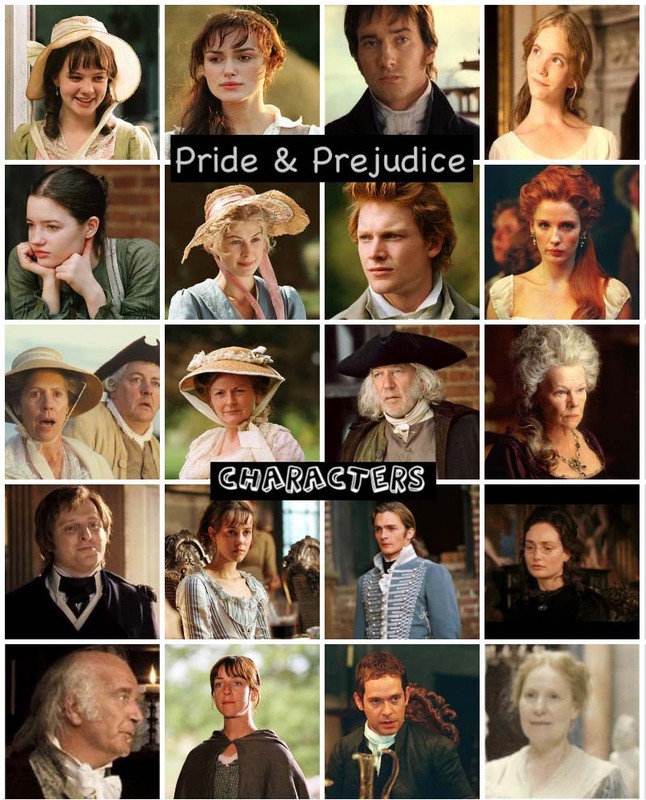 I thought I'd post and update here some new (and old) TV/films to add to the many films and other projects that some former P&P (2005) cast/actors had either co-starred, appeared, and or previously worked together with, other than their popular 2005Pride & Prejudice film. 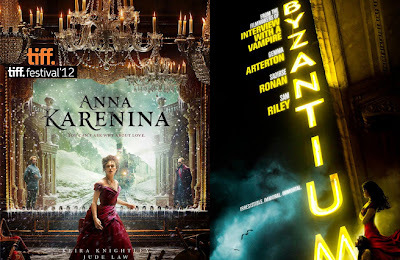 Joe Wright's Anna Karenina (starring former Pride & Prejudice stars Keira Knightley and Matthew Macfadyen) and Byzantium(Tom Hollander co-stars with Gemma Arterton, Saoirse Ronan, and Johnny Lee Miller) films are two of the official selections for this year'sToronto International Film Festival. They are under the Special Presentations category. The2012 Toronto International Film Festival runs from September 6 – 16th. The festival marks the beginning of awards season. See the complete line-up here. 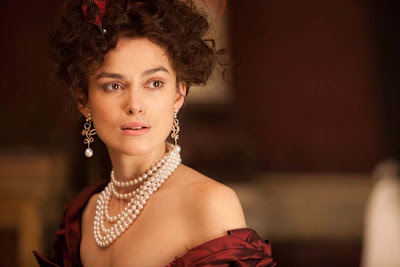 Watch: new 'Anna Karenina' concept trailer featuring new images of Keira Knightley & Matthew Macfadyen! 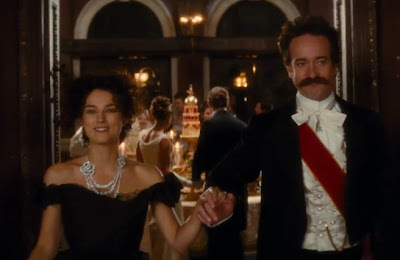 This past Sunday, I posted hereA 6 minute 'Anna Karenina' preview clip! Now, there's another new one! Even better...this time, an Anna Karenina Concept trailer(thanks to Maia for the info on this!) has been released via EW.com! Joe Wright's Anna Karenina starring former Pride & Prejudice stars Keira Knightley (as the title character Anna Karenina) and Matthew Macfadyen(as Oblonsky) along with Jude Law, Aaron Johnson, Olivia Williams, Kelly Macdonald, Emily Watson, and Downton Abbey's Michelle Dockery. 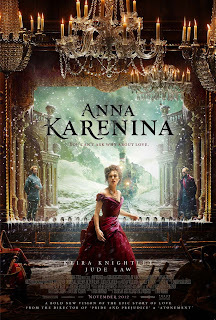 Anna Karenina opens in UK Cinemas September 7th and in select US Theaters November 9th! It's official! The odds are now officially in Jena Malone's favor to play Johanna Mason, a tribute in The Hunger Games: Catching Fire (sequel to the box-office hit The Hunger Games), which means she'll co-star again with her former P&P Co-starDonald Sutherland (as President Snow) along with Jennifer Lawrence, Liam Hemsworth, Josh Hutcherson, and Elizabeth Banks. The Hunger Games: Catching Fire will be in theaters on November 22, 2013! See all the official cast (with photos) for The Hunger Games: Catching Fire here! Watch: A 6 minute 'Anna Karenina' preview clip! An exclusive6 minute video clip has been released (via keiraweb2 on YT) of Joe Wright's Anna Karenina starring former Pride & Prejudice stars Keira Knightley (as the title character Anna Karenina) and Matthew Macfadyen(as Oblonsky) along with Jude Law, Aaron Johnson, Olivia Williams, Kelly Macdonald, Emily Watson, and Downton Abbey's Michelle Dockery. In this special preview clip of AK, director Joe Wright introduces the 6-minute clip, which featured principal (and also supporting) cast such as Keira Knightley (as Anna Karenina), Jude Law (as Karenin), Aaron Taylor-Johnson (Count Vronsky), Alicia Vikander (as Kitty),Domhnall Gleeson (as Levin), Ruth Wilson (as Princess Betsy) and Michelle Dockery (asPrincess Myagkaya) of the upcoming film. 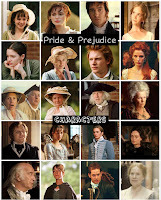 Unfortunately, Matthew Macfadyen is not featured in the extended clip here. 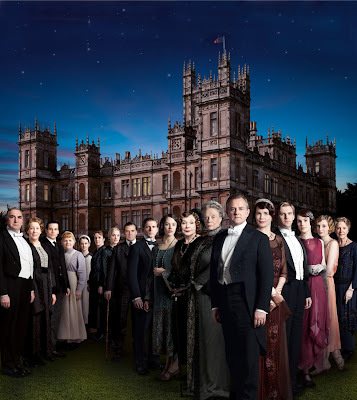 Season 3 poster for 'Downton Abbey' and a US premiere date of January 6, 2013 on PBS Masterpiece Classic! "What is a weekend?" The new Season 3 poster for Downton Abbey, that is! lol, just had to say that again, as it's, well...the weekend (very appropriate for this post much like last year's S2 Downton Abbey news, haha! )...It's just been released via its website on PBS Masterpiece Classic with the S3 poster as the website's new background image. The aristocrat family and its servants are getting crowded on the poster too, which now includes new cast member, the legendary Shirley MacLaine. Check out the poster (click it to enlarge) above! 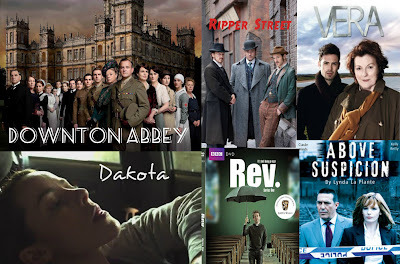 Downton Abbey and Hatfields & McCoys both scored sweet 16 Primetime Emmy Nominations each!! 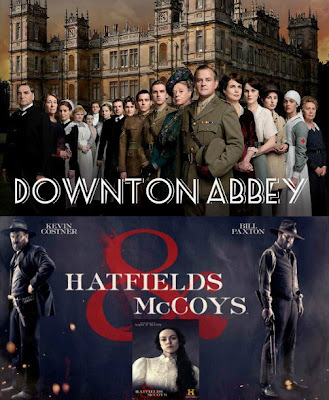 The64th Primetime Emmy® Award nominationshas just been announced today (this morning) and two of the most watched TV series/miniseriesof 2012, Downton Abbey (Penelope Wiltonco-stars) and Hatfields & McCoys (Jena Maloneco-stars) both scored big with sweet 16 nominations each!!!!!! In addition Homeland, the freshman series that Rupert Friend has just joined for Season 2 premiering this fall (September 30th) has scored 9 nominations!! 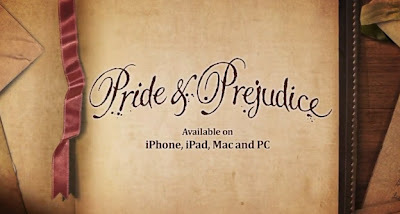 As previously posted here last May, a new Pride & Prejudice app game titled Hidden Anthologies: Pride & Prejudice foriPhone, iPad and Mac. A PC version is (still) coming soon! Just released two months ago, It is a hidden object adventure game based on our beloved Jane Austen'sPride and Prejudicenovel. Read more details about this P&P app game and a full press release here. According to Home Accent Today, Votivo,in partnership with Focus Features, will launch a limited edition collector's travel tin and fragranced bookmark inspired by director Joe Wright's upcoming film adaptation Anna Karenina (starring Pride & Prejudice stars Keira KnightleyandMatthew Macfadyen). This is the second collection in partnership with Focus Features promoting AK movie,Banana Republic is launching a fall collection inspired of AKas well. Here's Home Accent Today's article for more info! Today (July 18th) is Kelly Reilly's (aka P&P's own Caroline Bingley) 35th Birthday! 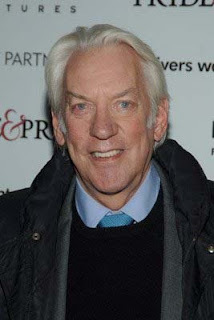 Today, (July 17th) is Donald Sutherland's (aka P&P's own Mr. Bennet) 77th birthday! Born:Donald McNichol SutherlandJuly 17, 1935 in Saint John, New Brunswick, Canada The towering presence of this Canadian character actor is not often noticed, but his contributions are legendary. He has been in almost a hundred and fifty different show and films. He is also the father of renowned actor Kiefer Sutherland. Born in New Brunswick, Sutherland worked several different jobs... See full bio (via imdb).Happy 77th Birthday Donald Sutherland!!! According to Broadway World, Claudie Blakley will be playing Lady Macbeth, a female lead for the upcoming stage play production of Macbeth. Artistic Director Daniel Evans today announced that Geoffrey Streatfeild and Claudie Blakley will lead the company of Macbeth – the first Crucible production of the company’s autumn season – which opens on Wednesday 5 September and runs until Saturday 6 October. War. Three witches and a prophecy. An assassination. Visions and ghosts. Murder. A suicide. And War. 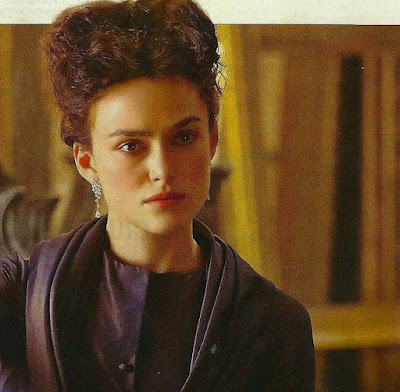 New Keira Knightley 'Anna Karenina' images scans from Entertainment Weekly Magazine! In the newest issue (July 20th) of Entertainment Weekly Magazine (with Batman, The Dark Knight Rises star Christian Bale and Tom Hardy as Bane on the cover), there were a few pages of new (and old) sneak peek images of Keira Knightley (as the title character Anna Karenina) and an AK article from Joe Wright's Anna Karenina (the Focus Features's AK website has been slightly updated too with a new look...so far, it's a background from the US poster!) 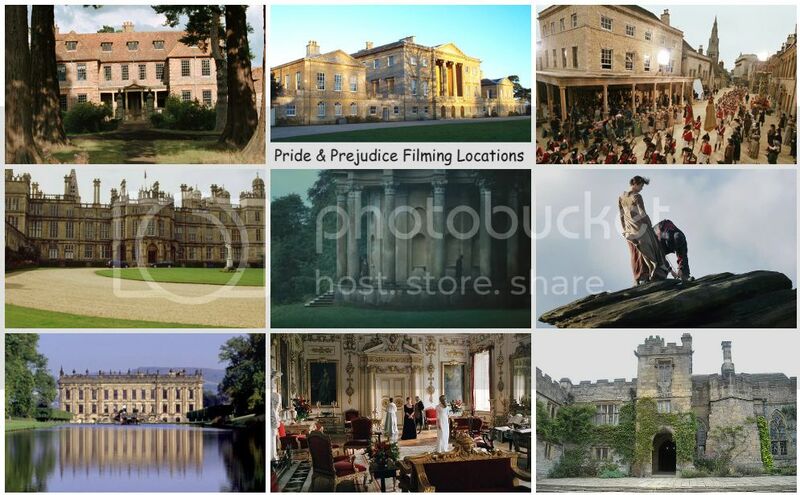 starring former Pride & Prejudice stars Keira Knightley and Matthew Macfadyen(as Oblonsky) along with Jude Law, Aaron Johnson, Olivia Williams, Kelly Macdonald, Emily Watson, and Downton Abbey's Michelle Dockery. 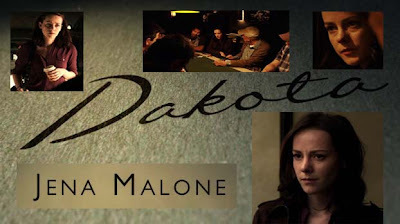 Dakota(on Wigs) starring Jena Malone (asthe title character Dakota), premieres Monday (7/9), and its 3 episodes will air on Mon, Wed and Fri of this week. 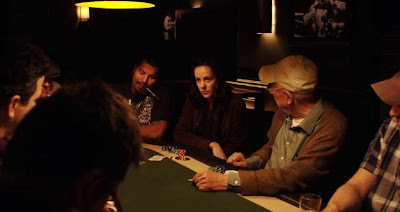 A poker player on a short losing streak is invited to a high stakes home game, but the stakes for her son are what matter most. Jena Malone's new WIGS series Dakota continues with Episode 2 (of 3) and BTS 2 (of 3)! Jena Malone's new WIGS series Dakotapremieres today (this morning at6am PDT/9am EDT) with Episode 1 (of 3): Down $770. 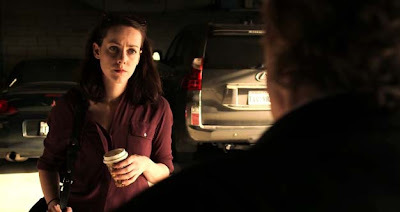 In addition, an interesting Behind The Scenes(1 of 3) video (featuring Jena and Dakota's writer/director Ami Canaan Mann talking about how JM got involved/cast and the development of her title character in this series) is also available to watch separately after the first episode. Watch both of them below! Jena Malone's new WIGS series Dakotapremieres tomorrow morning at6am PDT/9am EDT! A new gorgeous US poster for Joe Wright's upcoming film Anna Karenina (starring Pride & Prejudice stars Keira KnightleyandMatthew Macfadyen) has just been released via Moviefone. The first poster ^ for one of Talulah Riley's upcoming film The Knothas been releasedvia the film’s Facebook page. The film, which was previously slated for a Valentines Day release date earlier this year, is now going to be released in UK Cinemas on October 5th! No U.S. release date yet. Besides Talulah, the other cast for The Knotinclude Noel Clarke, Mena Suvari, Matthew McNulty, Jason Maza, Susannah Fielding. Directed by Jesse Lawrence, the script was from Geoff Carino, Noel Clarke, Davie Fairbanks. 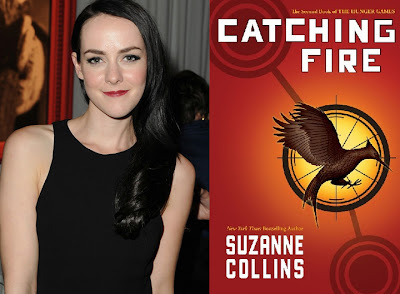 Movie Casting News: Jena Malone to star as Johanna Mason in 'The Hunger Games: Catching Fire'! According to Hollywood Reporter, Jena Malone(who was reportedly in the running for the same role recently) has been chosen to play Johanna Mason, a tribute in The Hunger Games: Catching Fire (sequel to the box-office hit The Hunger Games), which means she'll co-star again with her former P&P Co-starDonald Sutherland (as President Snow) along with Jennifer Lawrence, Liam Hemsworth, Josh Hutcherson, and Elizabeth Banks. The Hunger Games: Catching Fire will be in theaters on November 22, 2013! The first (teaser) trailer (as well two images of Tom Cruise as Jack Reacher via Collider) has just been released (via Yahoo Movies) today for Jack Reacher (formerly titled One Shot, based on Lee Child's 9th novel One Shot from the JR series) starring Tom Cruise (as the title character) and Rosamund Pike as (Helen Rodin) which was recently moved up from its original release date of February 8th, 2013 and is now getting a wide release date on December 21st, 2012! The film also stars Robert Duvall, Richard Jenkins, David Oyelowo, and Werner Herzog. The trailer (perhaps a longer version) is said to be attached to the the newThe Amazing Spider-Manfilm, which is released today in theaters! Unfortunately, Rosamund is not included in the trailer, but perhaps in the 2nd one and TV spots as the film's release date approaches. I'll keep you all posted and updated. As previously posted here, Keira Knightley had replaced Scarlett Johansson (The Avengers) to star as the female lead opposite Mark Ruffalo (The Avengers) and Hailee Steinfeld (True Grit) in the upcoming film, John Carney's musical Can a Song Save Your Life?Maroon 5's front man, Adam Levinehas recently joined the cast. He will be playing Keira's character's boyfriend. Keira and Adam are currently filming this movie in NYC and their on set photos havealready surfaced on various sites online.